Every one of us has a story we can share. Think of a past event in your life related to GBMC. Whether it’s care you received, an opportunity you have, or a loved one you remember, this event should have very personal meaning to you. What’s happened in your life since your experience at GBMC? Read Kathy Robinette’s story below, and share yours at www.gbmc50.com/mystory. I would like to first thank you for the opportunity to tell my family story to such a dedicated, professional and caring intuition as GBMC. GBMC is among the very best hospitals, in my opinion. In the fall of 2011, my daughter, Katie, lost part of the vision in her right eye during a neurology lecture. She had been married only nine months and was fulfilling her dream of becoming a nurse. She was seen by a neuro-ophthalmologist at a Baltimore hospital, evaluated and sent for a brain MRI. In short, she had nine-hour brain surgery to get a biopsy and was diagnosed with an optic pathway glioma, a rather rare and fatal brain tumor that was malignant and inoperable. Katie was seen by a group of specialists at the brain tumor center at Duke. Due to the distance between her home and Duke, she had to find a local oncologist that would agree to treat and follow her. We were very fortunate to have GBMC agree to take her as a patient. Dr. Gary Cohen began to follow her for her care and treatment, which began in late fall of 2011. I can’t think of a more professional, brilliant, courteous and kind man than Dr. Cohen. He has taken such good care of my daughter, and has been a huge champion in her care and treatment as she fights to live the most normal life possible. My son-in-law is at every appointment with Katie, and it obvious that Dr. Cohen doesn’t just treat her; he is very concerned about and attentive to the well-being of my son-in-law as well. I never thought that physicians were much on treating and caring for the entire family unit, but it’s apparent that Dr. Cohen is not the average physician by any means. He is calm, very kind, always available and continually goes beyond the scope of a physician. He has always been prompt and available after his normal business hours, which has been very reassuring to both Katie and her husband. As for the Emergency Department staff members, they, too, have been more than amazing. Katie has had the best care, treatment and understanding from the physicians, nurses, radiology team and supporting staff members. It seems they remember her as she has unfortunately landed in the ED on several occasions over the past three years. Katie has been cared for and treated by the oncology floor as an inpatient on several occasions. They are true professionals and have been so kind and caring when she has been on that floor; she has been there many times and for long stays as well. On a couple of occasions, Katie has had care and treatment by a few other physicians at GBMC. They are as follows: Dr. Michael Sellman, Chief, Division of Neurology; Dr. Niraj Jani, Chief, Division of Gastroenterology and Dr. Marc Dubin, Co-director, Minimally Invasive Pituitary and Skull Base Center. Again, these physicians are tremendously kind, caring and experts in their respective fields. 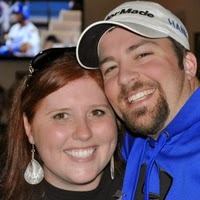 Collectively, they have given Katie the best care and concern over any physician we have dealt with on a local level. During her course of chemotherapy, which went on for two years, Katie was treated in the GBMC infusion center every other Friday for her IV chemotherapy. What an amazing group of kind nurses and support staff there. Calling her by first name and taking away the normal fears that a cancer patient would experience was first class all the way. I’m not too sure where my family would be without the care and treatment my daughter has received from GBMC. We are happy to report that Katie beat all odds! She is a full-time nurse and working on a medical surgical floor in a Harford County hospital. In just a couple of days, Katie will celebrate being brain tumor-free for two years. Her past MRI scans show no tumor re-growth and she has regained her vision. Thank you to all of the staff and support teams at GBMC for all of their care and help with what has been the most difficult time of Katie’s life. We continue to seek out treatment at GBMC and return for continued monitoring of Katie’s brain in hopes that she remains a healthy, happy and productive member of society. Lastly, I can’t think of anywhere in the Maryland area that would provide such care and genuine concern to a fragile, complex and frightened young lady diagnosed with a brain tumor. GBMC stands high on my list as the very best hospital. My Katie is alive, working full-time and is brain tumor-free as of March 8, 2013. I have so much to be thankful for...thank you GBMC!!! March is Colorectal Cancer Awareness Month, which means there is no better time than now to contact your physician and set up your annual colorectal cancer screening. While it may not be the most comfortable topic for you to discuss with your physician, colorectal cancer is the second leading cause of cancer-related death in the United States, more lethal than breast or prostate cancer, and the third most diagnosed cancer in both men and women. Unlike other cancers where screening is aimed at early detection, colon cancer screening can actually prevent the cancer from ever occurring. This is done by detecting and removing pre-cancerous growths, and that is why screenings are so important. Colorectal cancers most commonly begin as small polyps, which are detectable through regular cancer screenings. There are no early warning signs of colorectal cancer, and most people diagnosed with colorectal cancer do not have a family history or other risk factors other than their age. It is important to note that pre-cancerous polyps may be present for several years without symptoms, and almost all colon cancers develop in these polyps. Finding and removing these polyps greatly reduces the risk of colon cancer. If removing the polyps does not prevent the cancer from occurring in the first place, and it is detected early, surgery, radiation and/or chemotherapy can provide effective treatment. Colonoscopy – examines the entire colon using a long, thin, flexible tube with a tiny fiber-optic video camera and light at the end of it. Also allows polyps and abnormal tissue to be removed and biopsied. Age – Individuals over the age of 50 are more likely to develop colorectal cancer. Genetics – African Americans are at the highest risk of developing colorectal cancer. Heredity – A history of colorectal cancer in your family puts you at higher risk. History of cancers – Those with a personal history of colorectal, ovarian or endometrial cancer or colon polyps are at higher risk. 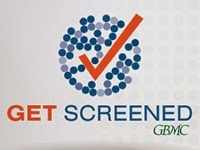 Men and women over the age of 50, or those with a family history of cancer, are encouraged to receive their colorectal cancer screening annually. For more information, visit www.gbmc.org/gi. Over the next few months, GBMC will provide you with tips and tricks to get you from being a non-runner to a 5K finisher just in time for our Father’s Day 5K, which benefits our Neonatal Intensive Care Unit (NICU) for premature babies. This progression program is meant to be used as a guide for beginner runners but it can be easily adjusted to fit your ability level if you are intermediate or advanced. Always warm up before a run. Beginning any endurance exercise with cold muscles can lead to injuries, so be sure to engage in a basic warm up of jumping jacks, jogging in place or squats. You should also stretch all major muscle groups to help reduce the risk of injury and aid in the recovery process. Stay tuned for the April issue of Living Healthy, Living Well for your next training plans! If you are in need of a primary care physician, visit www.mygbmcdoctor.com to find one who is right for you. To learn more about the GBMC Father’s Day 5K and to register, visit www.gbmc.org/5k. According to the American Lung Association, Chronic Obstructive Pulmonary Disease (COPD) is the third leading cause of death in the United States, with about 12.7 million adults over the age of 18 suffering from the disease in 2011. Additionally, an estimated 10.1 million Americans were reported to have chronic bronchitis, which exacerbates COPD. Risk factors for COPD include smoking, heredity, occupational exposure to dust or chemicals and air pollution. Pulmonary diseases are usually distinguishable when someone has respiratory or breathing issues with symptoms such as a cough, shortness of breath or difficulty sleeping. For example, pulmonary hypertension is a condition in which there is an increased pressure in blood vessels in the lungs which makes it harder for the heart to pump blood to the lungs, resulting in breathlessness. Pulmonary Medicine, a newly formed specialty group at GBMC, focuses on diagnosing and treating conditions that include, but are not limited to, pulmonary hypertension, COPD, asthma, bronchitis and evaluation of those with abnormal X-rays and/or lung cancer. Additionally, members of this specialty bring their expertise to various hospital committees to improve patient care and reduce costs for inpatients admitted with respiratory problems. Three new physicians recently joined the pulmonary team including Gregory Bassmann, MD, specializing in general pulmonary and interventional bronchoscopy, Bruce Sabath, MD, specializing in pulmonary hypertension, and Rex Yung, MD, an expert in lung cancer and bronchoscopy from Johns Hopkins Hospital. Bronchoscopy involves looking inside the lung pathways with a probe to see if there are any tumors, tears, blockage or issues that may be causing breathing problems. The outpatient procedure can also be used to remove tissue samples or to clear the airway. Currently, the Pulmonary Medicine at GBMC office is located in Suite 201 of Physicians Pavilion East, but it will be moving to its permanent location on the fourth floor of Physicians Pavilion East in Summer 2015. The move will expand the practice, allowing it to offer more testing areas and an in-house lab. This relocation is meant to create a one-stop shop for patients who are undergoing treatment or having diagnostic testing performed. For additional information about GBMC’s services relating to Pulmonary Medicine, visit www.gbmc.org/pulmonary or call 443-849-GBMC (4262). Preheat the oven to 350°F. Spray a nonstick muffin pan with olive oil spray. Heat the tablespoon of oil in a large non-stick skillet over medium heat. Sauté the onions for 5 minutes, until soft. Add bell peppers, garlic, tomato, kielbasa and sauté for another 5 to 7 minutes. Add spinach and cook until wilted, about 1 minute. Set aside. In a large bowl, whisk the eggs, egg whites, milk, flour, salt and pepper until smooth. Add the cheese and cooked kielbasa mixture to the bowl and mix well. 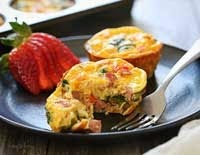 Pour into the prepared muffin pan and bake for 28 to 30 minutes, or until firm.